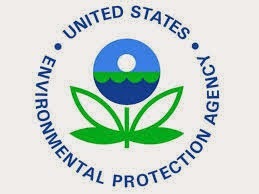 Since Jan. 20, 2009, when President Barack Obama took office, the Environmental Protection Agency (EPA) has published 2,827 final regulations, which equal 24,915 pages and total an estimated 24,915,000 words in the Federal Register. Those 24,915 pages of regulations are more than 19 times the number of pages in the Gutenberg Bible, which is 1,282 pages and published in two volumes. In addition, at 24,915,000 words, the EPA regulations have 38 times as many words as the Gutenberg Bible, which has 646,128 words; 22 times as many words as the entire Harry Potter series, which includes seven books with 1,084,170 words; 5,484 times as many words as the U.S. Constitution, which has 4,543 words, including the signatures; and 17,088 times as many words as the Declaration of Independence, which has 1,458 words including signatures. Using the Regulations.gov website and the Federal Register itself, CNSNews.com found 2,827 distinct rules published by the EPA since January 2009 covering, among other things, greenhouse gases, air quality, emissions and hazardous substances.